Happy Easter! The vision now stretches its impact from Africa to Asia. Eunice and I were recently in Manila, Philippines, teaching at and having meetings with the International Graduate School of Leadership. While we were there, we felt the Lord’s leading to relocate to Philippines and serve with IGSL as resident faculty. What attracted us most there was the fact IGSL draws nearly 300 elite students each trimester from 20 Asian countries, many of which the gospel is critically hindered. These students are enrolled in transformative leadership programs of MA, MDiv, DMin and PhD. It seemed obvious that partnering with IGSL will be an extension of the EAPTC’s initial vision to raise Christ’s disciples on the Word and power to build God’s Church so that the lost millions may be led to our God’s presence. I’ll be teaching as professor of intercultural studies and Eunice in a children’s school within, if everything goes as planned. However, it will be support-raising, not paid positions (yes, we are still missionaries!) and will require us seek supports for our living costs in Philippines. EAPTC Africa keeps marching on to cover the beloved continent with the message. Boma-Ngombe school in Tanzania finally got its school registration approved from the government. The school can now freely provide elementary to high school level educations in a superb Christian setting. However, construction is prolonged due to lack of funds and is still on the way both for the school site and church site, both of which, we pray, would serve as a base for EAPTC Tanzania. 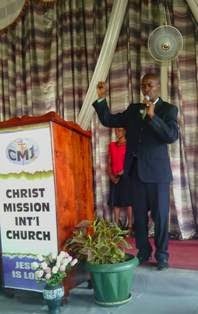 More conversions and baptisms continued as Lilongwe church in Malawi was preparing for 2015 Easter gathering of EAPTC national church leaders. Pastors and church leaders are joining from all corners of Malawi throughout this Passion Week for the time of recharge and fellowship. Some of our supporters have dropped their regular giving to EAPTC while we were on our study leave. Would you kindly consider resuming your supports to EAPTC, or if you’ve never supported the works of EAPTC before, we encourage you to consider doing so. We believe this ministry is a good soil for your heartfelt donation to get stretched far to touch many lives in Africa and Asia. More people are destitute in these parts of the world and direly need to hear the gospel. Also, if you wish to help us raise support for teaching ministry at IGSL-Philippines, you can simply indicate “Philippines” on the memo of your check to EAPTC. Alongside of raising supports for Philippines ministry, Eunice and I are still involved in leadership training in the Far East. The second intake of School of Mission in Korea is kicked off in Seoul. 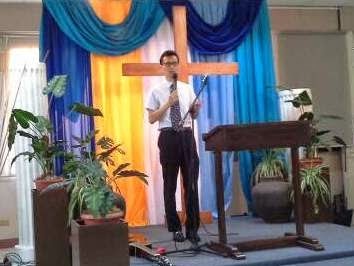 We trust and pray that the school will be more organized and better structured this time to recruit more upcoming Korean missionary candidates. Also, three Bible training centers that were set up in the C-nation last November are to have the second module classes convened in April and May. I’ll be travelling soon to those centers to teach and mentor, after which I’ll stop by Osaka, Japan for the Christian & Missionary Alliance (C&MA) Korea’s missions conference. Your continuous prayers and financial giving keep us going toward this biblical mandate; to raise up preachers who will take good news from all nations to all nations (See Romans 10:14-15). Thank you for standing with us in this glorious adventure as you pray and participate. P.S. We were asked by the Director for Development of Faith Academy to help them recruit their elementary school (2nd grade) and kindergarten teacher. Faith Academy is one of the oldest and finest missionary kid schools in the world situated in Philippines that has been running by qualified, support-raised teachers who possess hearts for MKs. We were told that some of the missionary kids have not been able to go to school due to lack of teachers at FA. If you know anyone interested in this precious calling, please let us know. We’ll happily link him or her to the FA personnel.